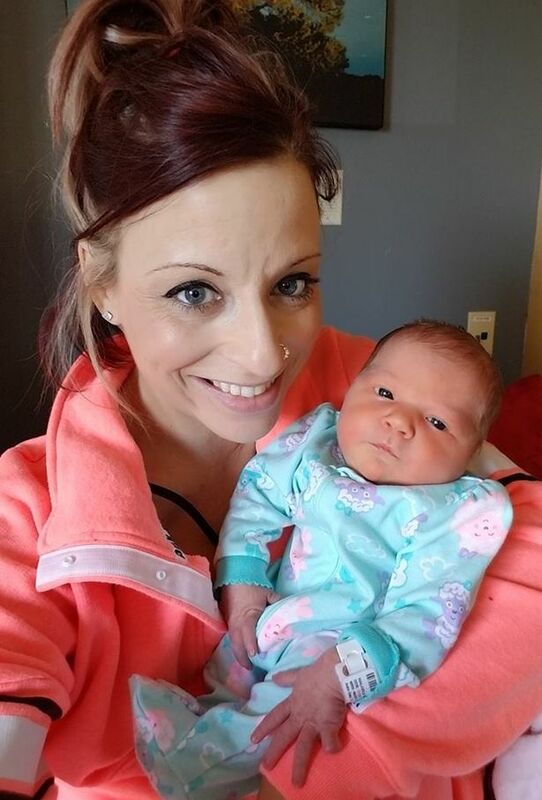 A mum has paid a heartbreaking tribute to her baby daughter, who died just days old from a virus doctors suspect was passed on through a kiss. Mariana Reese Sifrit passed away this morning after her short battle with Meningitis HSV1. In a touching tribute, her mum Nicole Sifrit spoke of the "huge impact" her little girl made on the world in her 18 days. Posting on Facebook earlier today, she wrote: "Our princess Mariana Reese Sifrit gained her angel wings at 8:41 am this morning in her daddy's arms and her mommy right beside her. "She is now no longer suffering and is with the Lord. Thank you to everyone who has followed her journey and supported us through this. "In her 18 days of life she made a huge impact on the world and we hope with Mariana's Story we save numerous newborns life. R.I.P. sweet angel. 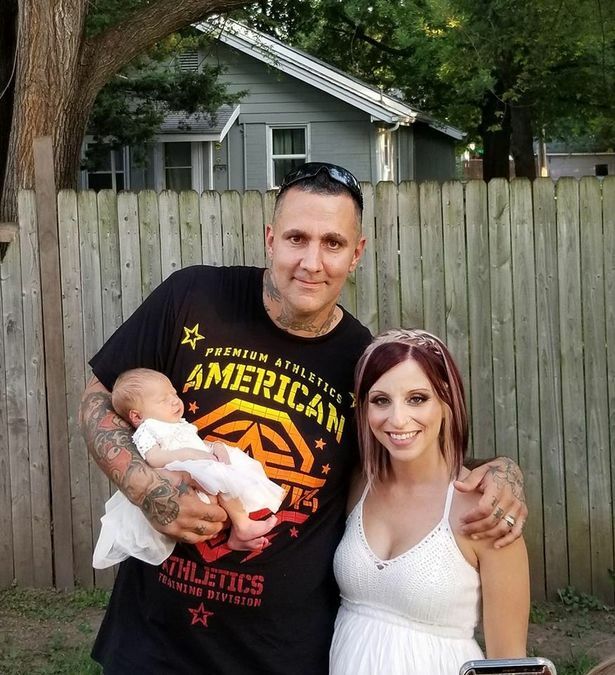 (sic)"
Nicole and Shane Sifrit from West Des Moines welcomed their daughter Mariana into the world on July 1 and then got married six days later. But in a tragic turn of events, just two hours after tying the knot, they noticed something was wrong with their baby. She had stopped eating and wasn't responding, WHOtv.com reports. Leaving their own wedding early to go to the Blank Children's Hospital in Des Moines they were told the devastating news that Mariana had the life threatening virus Meningitis HSV1. It is carried by someone with the cold sore virus but not necessarily with an open sore. Speaking to WHOtv.com before her daughter's death, Nicole warned parents to keep their babies isolated and not to let "just anyone" come and visit them. She said: "Don't let people kiss your baby and make sure they ask before they pick up your baby." Mariana's condition deteriorated and within two hours of being in hospital her dad said she'd stopped breathing and her organs had started to fail. 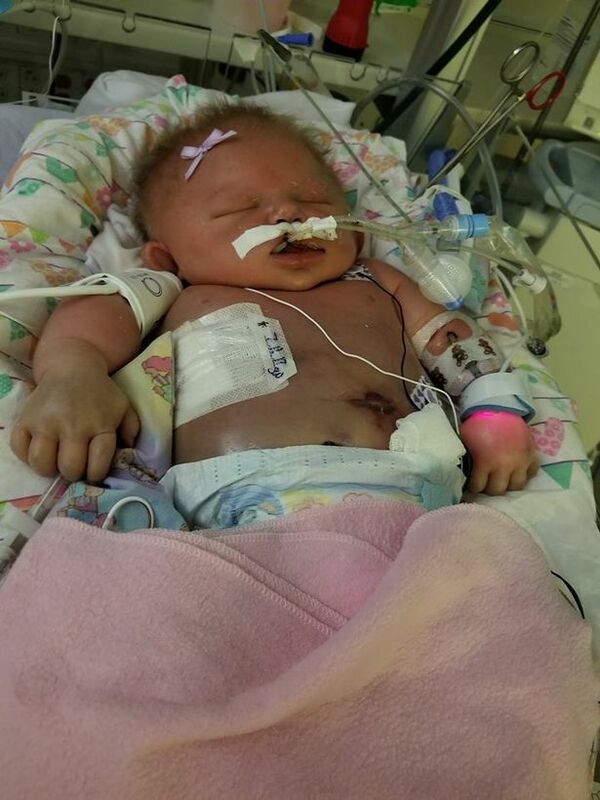 A gofundme page had previously been set up which said: "Mariana was born perfectly healthy on July 1st. "On July 7th she was readmitted to the hospital for meningitis and Herpes virus, we don't know how she contracted it. It was not through pregnancy, birth or her parents, we do know that." 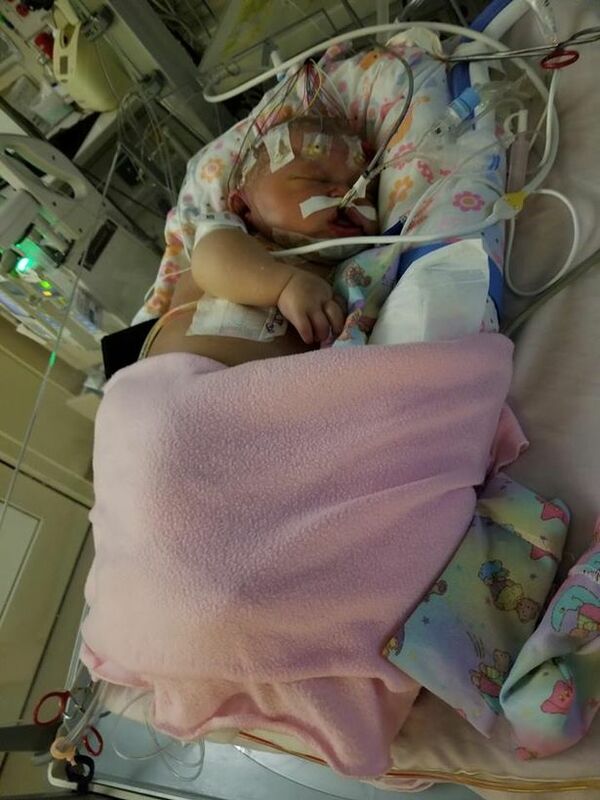 The page said the baby had received several blood transfusions while in hospital but unfortunately her internal bleeding became worse, she starting seizing, and her kidneys and liver began failing. The fundraising page revealed that doctors had told the couple to prepare to bury their "precious baby girl." An update was then posted which said Mariana had lost brain activity and her lungs and heart had also started to fail. It asked people to pray for the little girl. But today her mum informed people on social media that their baby had "gained her angel wings". Tributes flooded in from friends who said they were sorry for the couple's loss and offered thoughts and prayers to Nicole, Shane, and the rest of the family. According to Johns Hopkins Medicine , Meningitis and encephalitis may be caused by bacteria, fungi, or other types of germs. But many are caused by viruses, and many kinds of viruses can be to blame. Encephalitis is caused by the herpes simplex virus. Most are caused by herpes simplex virus type 1 (HSV1), the virus that also causes cold sores. Menningitis vaccine now mandatory for 7th and 12 graders in Iowa. Law just recently passed.